Zoanthids are an order of cnidarians commonly found in coral reefs, the deep sea, and many other marine environments around the world. These animals come in a variety of different colonizing formations and in numerous colors. They can be found as individual polyps, attached by a fleshy stolon or a mat that can be created from small pieces of sediment, sand and rock. 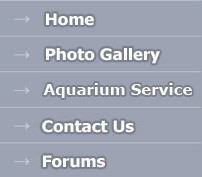 The term "zoanthid" refers to all animals within this order Zoantharia, and should not be confused with "Zoanthus", which is one genus within Zoantharia. Zoanthids can be distinguished from other colonial anthozoans and soft coral by their characteristic of incorporating sand and other small pieces of material into their tissue to help make their structure. 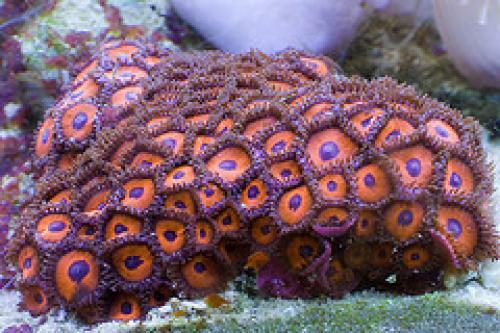 All known zoanthids have this unique feature, excepting the Family Zoanthidae. While the most well-known zoanthids are the zooxanthellate genera found in tropical and sub-tropical waters (primarily Zoanthus and Palythoa), many other species and genera exist, some still relatively unknown to science. Many zoanthids (in particular the genera Epizoanthus and Parazoanthus) are often found growing on other marine invertebrates. Zoanthids feed both by photosynthesis, aided by the zooxanthellae they contain, and by capturing plankton and particulate matter. Although photosynthesis aids in their nutrition, even species that do not actively capture plankton cannot live through photosynthesis alone. Zoanthis can eat meaty foods, such as lancefish, brine shrimp, krill and bloodworms.